PACR, a regional trade association, supports standards for professionals in the cleaning and restoration industry to which Health Home is a long-standing member. IICRC certification has identified Healthy Home as using the cleaning, restoration and inspection industries’ most skilled and dedicated technicians. BBB Accredited since 2008, BBB has determined that Healthy Home Carpet Care meets the highest BBB accreditation standard. 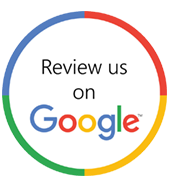 Consistently awarded since 2005, Angie’s List has hundreds of positive, verified consumer reviews of Healthy Home Carpet Care. “You will be completely satisfied with your carpet or upholstery cleaning, or it’s Free.” That’s right: have your carpet or upholstery professionally cleaned by Healthy Home Services, and if you are not completely satisfied, we will again clean, FREE! If you are still not pleased, we will gladly refund your payment. What could be more fair? Honest pricing. No sales gimmicks. No hidden costs. Firm appointment times. We will call if we get ahead or behind schedule. Courteous phone service. If we can't take your call immediately, we will return the call same day. The very best, most powerful cleaning method with state-of-the-art truck-mounted systems. Fast drying. Normal drying time is approximately 6 hours. If you follow our simple drying instructions it will dry even quicker. Free spotter service. Every new client will receive a FREE bottle of Spot Out spotter and free refills. Forever. Our technicians are uniformed, fully certified and background checked to the standards you would expect of your babysitter. We've been in business since 1989 and in the industry for over 25 years. Owner Don DeLeeuw is a Master Cleaner with 22 years experience and has been given the prestigious title of, "The King of Clean" by IICRC colleagues, due to his high level of education and experience. If you need carpet or upholstery cleaning with fast service and a great warranty, we can help! In just a few hours or less, your dirty carpets or upholstery can be clean and fresh. Servicing Denver, Colorado and the surrounding metro area including Arvada, Boulder, Broomfield, Golden, Lafayette, Longmont, Louisville, Northglenn, Thornton and Westminister.